BLACK CAT'S 2ND BIRTHDAY BASH WEEK: "BLACK CATS RULE THE NIGHT!" 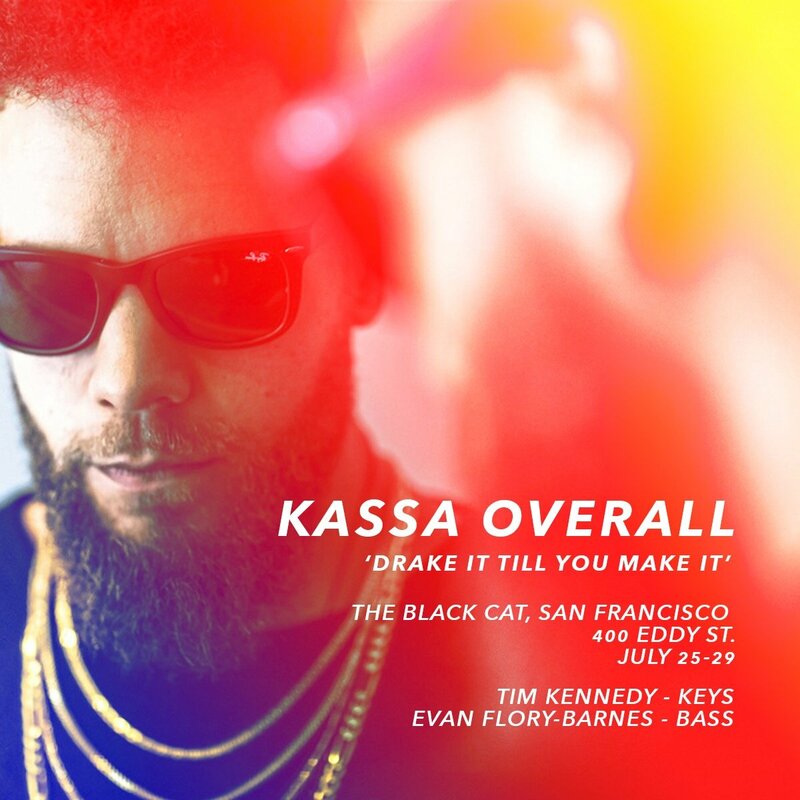 In addition to his skills as a drummer and producer, Kassa Overall is also a prominent DJ: as one half of Kool & Kass with the rapper Kool A.D. and DJing with The Late Show with Stephen Colbert’s house band, Jon Batiste and Stay Human. He has released several well-regarded mixtapes, including this April’s drop “Drake It Til You Make It”, covering Drake, Kanye, and Snoop Dogg. He’ll be on the turntables Friday, July 27 & Saturday, July 28 at Black Cat spinning his favorite classics from 11:30-until!